In brief: It's possible it's not the most authentic, but we don't care, Sophie's Cuban can be relied on for lunch satisfaction. You are thinking, I know it, what the hell is going on with this 70 degree weather in the middle of October? Sophie's was empty inside, everyone was taking their lunches to go so we did too. 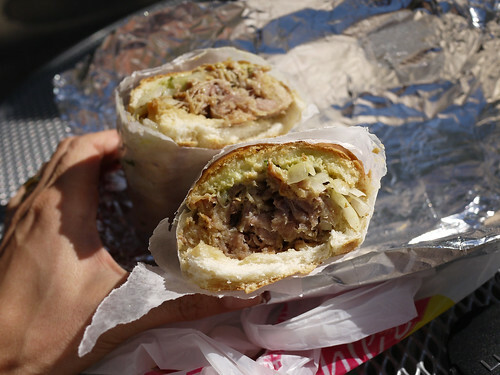 Messy roast pork sandwiches are best consumed outside anyway, the juices can just drip right onto the pavement.